Only minutes away from Oslo Airport Gardermoen – ideal for those who are travelling or holding a meeting. An excellent hotel to start or end the holidays. Enjoy our breakfast buffet, served already from 04:00. Conference facilities for up to 120 people. Scandic Gardermoen is perfect for those travelling for business or a holiday. The hotel specialises in meetings. 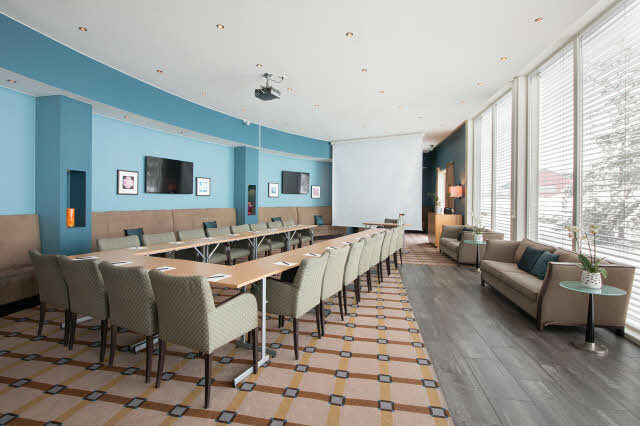 You can rent nice, bright meeting rooms, or book our facilities for conferences for up to 120 people. The hotel offers free parking for our guest and shuttle buses to and from the airport. If you are leaving early, you can enjoy our breakfast buffet from 04:00, or if you are leaving late, you can enjoy dinner in our restaurant with an à la carte menu. Families or groups – this is the hotel for any traveller. Since you are only 7 minutes away from Gardermoen, you can sleep a little longer in the morning and still catch your flight. Scandic Gardermoen has become a popular hotel for travellers, especially due to the good connections to the airport via shuttle bus. The hotel is perfect for families, groups or other travellers with an early or late flight. The hotel’s practical location at Gardermoen makes it perfect for those travelling for business or a holiday.